<p>This is the section that was added dynamically. This is a feature that has been added to the original plugin. 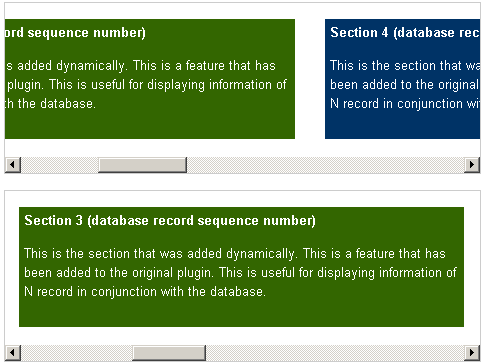 This is useful for displaying information of N record in conjunction with the database.